This is my first foray into Tarte Cosmetics. I had always read great reviews about the quality of the range and the Amazonian clay that is used in the creation of most of their products so I was eager to give it a try! 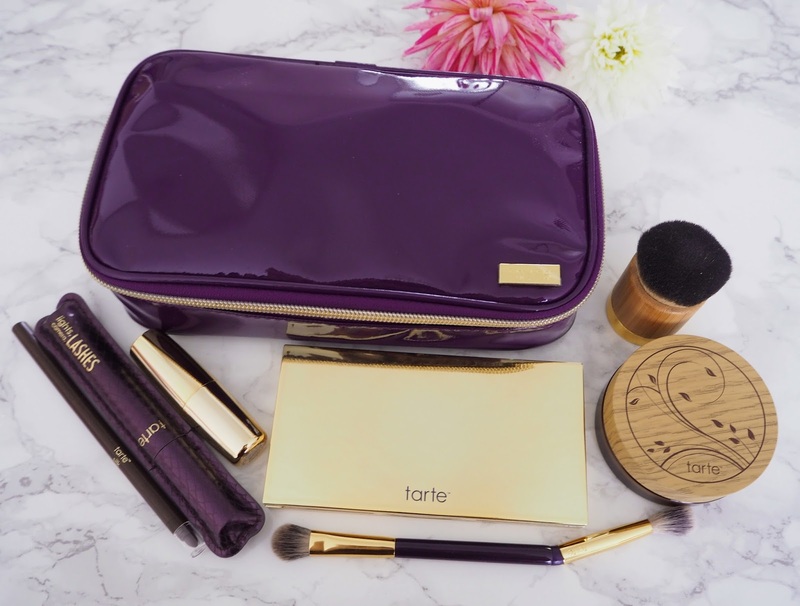 Up until now Tarte products have only been available in Britain on QVC UK, which is where this set is from. I got it as a Today's Special Value so it was at a low price for just that one day. Although it has gone up to normal price now I set think it's a good deal for the amount of products you get in the set. The next Tarte TSV will be in June I believe and will include their liquid foundation and another eye & cheek palette. Foundation | Amazonian Clay Full Coverage Airbrush Foundation & Airbuki Bamboo Brush. This is a powder foundation designed to give up to 12 hours of natural-looking coverage. "Infused with Amazonian clay and natural, light-reflecting gemstones." It's also supposed to be waterproof but I haven't tested this out yet! It takes a bit of time to blend it evenly with the supplied kabuki brush but it does give a nice coverage. It felt beautifully weightless on my skin, like silk, which is lovely as I hate a heavy mask like feel with foundation! I did find it lasted all day without reapplication as well which is great. 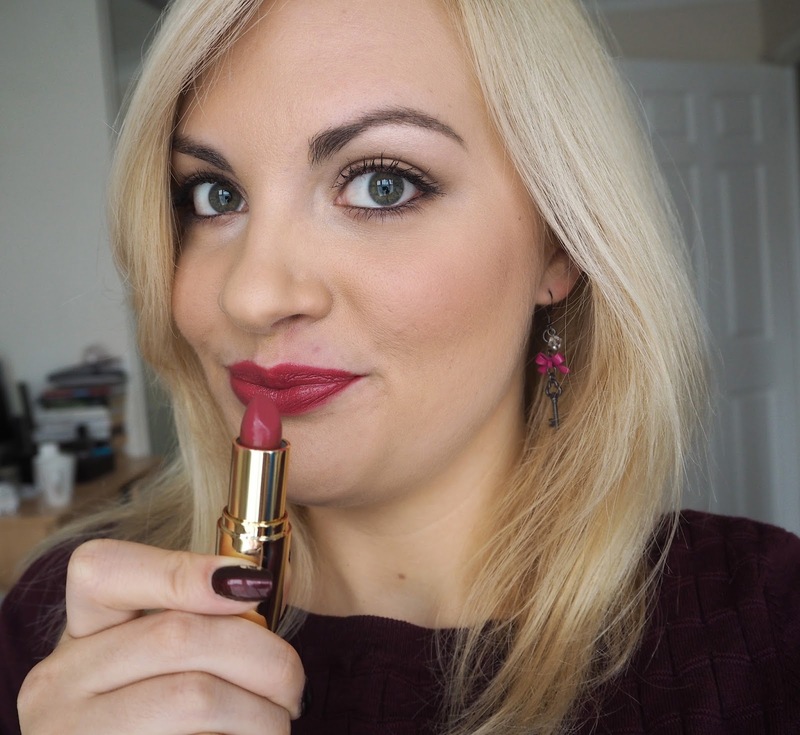 I chose the shade Light-Medium Neutral which is for Light to Medium Skin with Yellow and Pink Undertones as I thought it sounded the most universal but I feel it looks a bit too yellow for my skin though, what do you think? Maybe in the summer it will be alright but I think in future I'd go for Light Beige which is for Light Skin with Pink Undertones or Light-Medium Beige which is for Light to Medium Skin with Pink Undertones. Eye & Cheek Palette | I do enjoy playing with a makeup palette and this one has some beautiful shades inside. From neutral taupes, to mauve tones and copper/apricot shades it's a nice mix. Most of the shades were fairly strongly pigmented but I did use a shadow primer underneath to boost things. They are said to be "designed to mattify and control oil for extended wear". The blush in the middle is a generous size and matches in well with the eye and lip colours. The blush is said to be infused with colour-correcting coloured clay. Eyeshadow Shades: Golden Opportunity (golden bronze), Sienna the Future (burnt sienna), Like You a Latte (brown), Highlight of my Day (pearl), Cream of the Crop (beige), Mauve Mountains (plum mauve), plus the blush in Insightful (warm peach/pink). 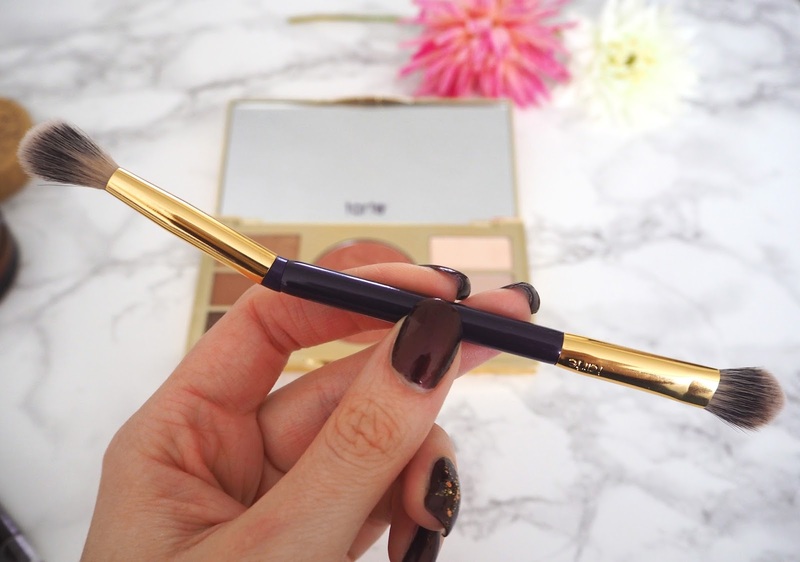 Double-Ended Eyeshadow Brush | This brush is an interesting one! It "features a unique, angled tip that helps follow the contours of the eye upon application". I found it took a while to get used to but they're nice soft brushes and help blend the shadows well. I just wish it picked up a bit more product though. Mascara | Lights, Camera, Lashes 4-in-1 Mascara, Black. This is probably Tartes most famous product! I couldn't wait to give it a go and I have to say I wasn't disappointed. It does everything it says: lengthens, curls, volumises and conditions. 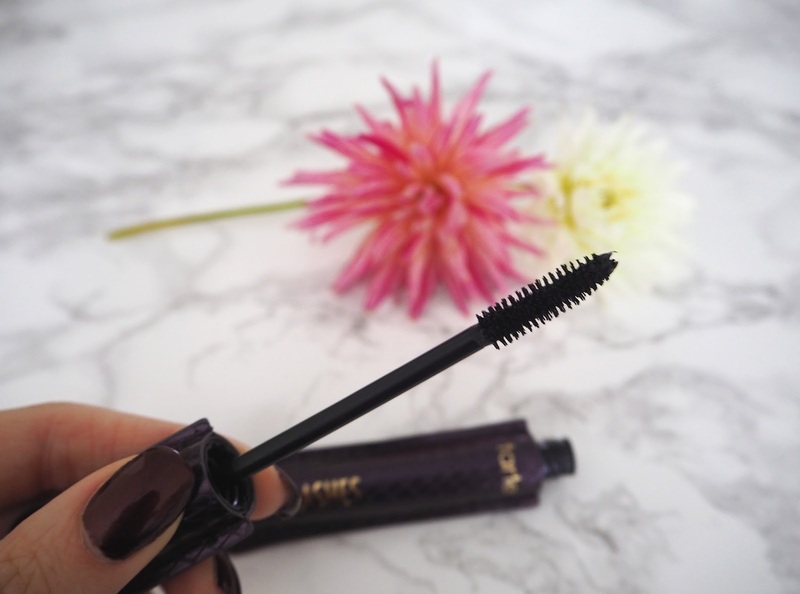 It's a very impactful mascara and I like that it's infused with plant botanicals and waxes. I am very attached to my Mally Volumising Mascara but this one has given it a run for its money coming in a close second. The only problem I found was that it did start dry out quite early on, after about 6 weeks. I'm a good girl, I always throw out my mascaras after 3 months of use like your supposed to for hygiene! 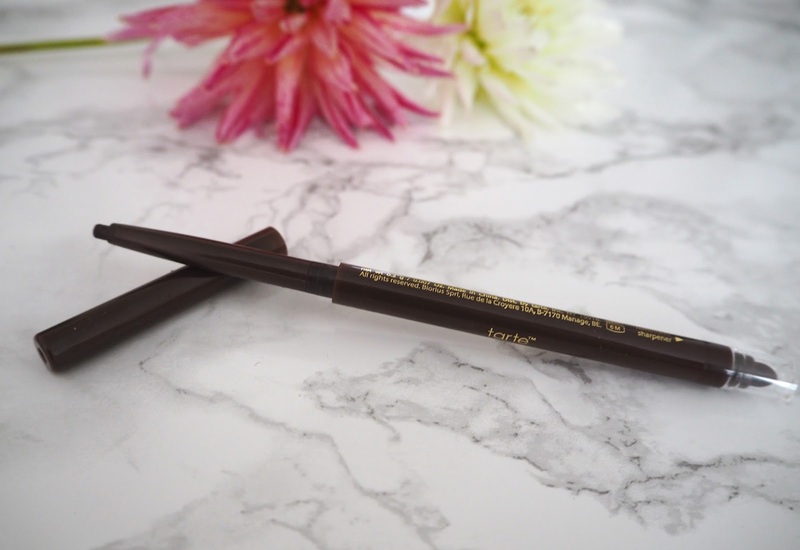 Eyeliner | Silk Amazonian Clay Eyeliner in Black Brown. This is a lovely Eye Liner, highly pigmented and it glided on smoothly without any pressure required. I also liked the little smudger on the end to create smokiness. It was quite difficult to remove though I must say, I still had a bit on the next morning! 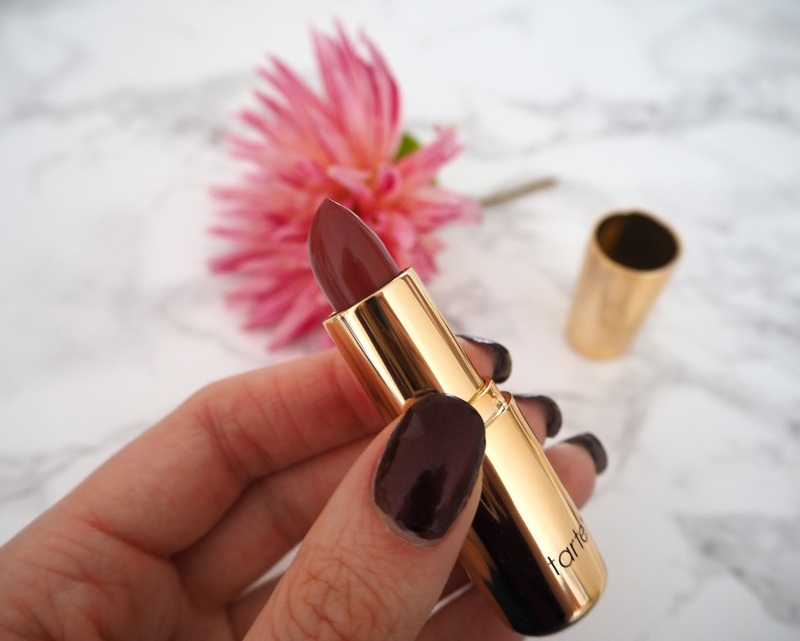 Lipstick | Primrose. 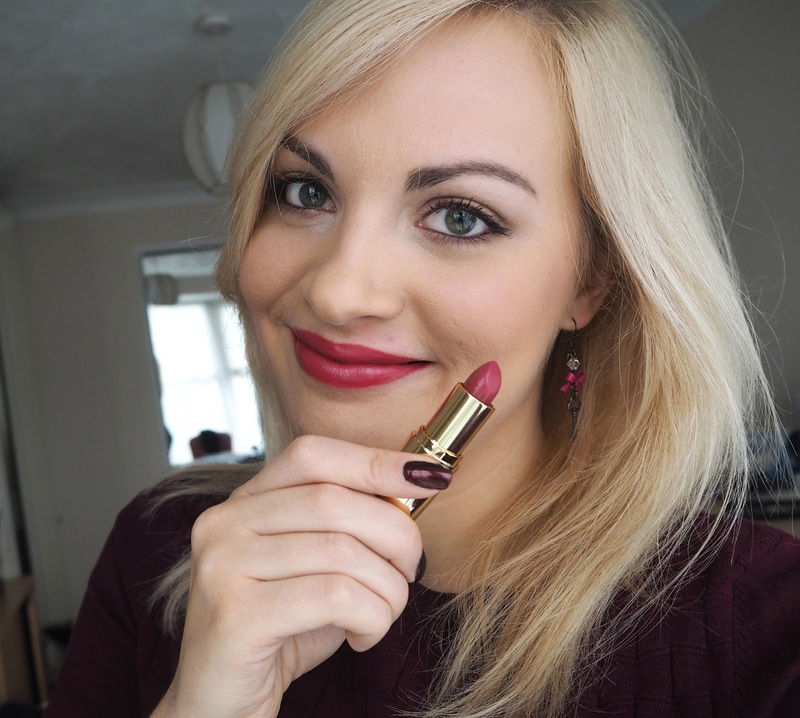 I have a confession: I am a massive lipstick hoarder! I love them and I am pleased to add this one to my collection. 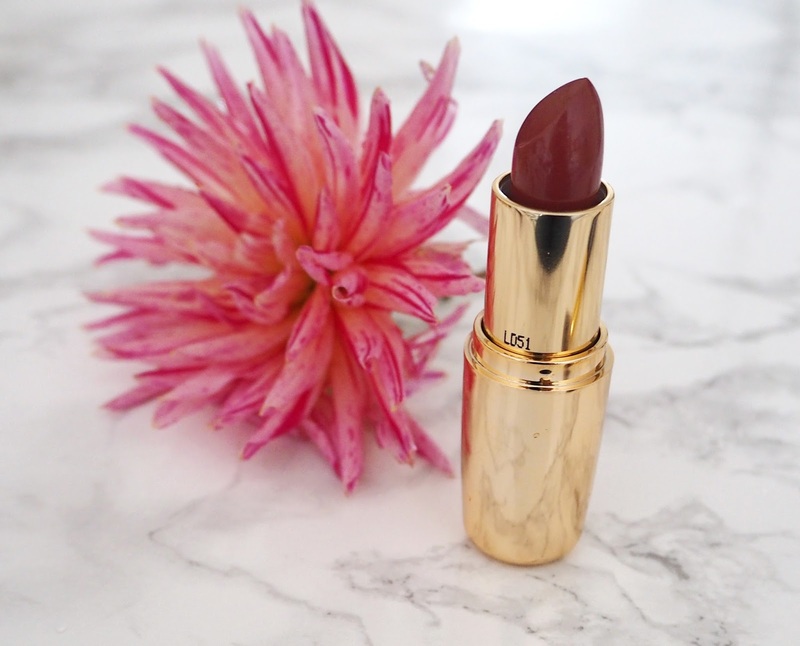 This one is a rich dark pink/purple shade (so not for everyone) and is infused with coconut oil so it glides on like a lip balm and feels lovely. Naturally I want to collect all of their lipsticks now! In the look I created below I used every item included in this set. The only two things I added were a primer and a brow product that's it, so it really is a full face make up kit! It all came inside a lovely patent purple make-up bag which I'm using to store all my Tarte make-up goodies. You can buy this set via QVC UK or find the pieces individually from Tarte Cosmetics as they have just started shipping to the UK! 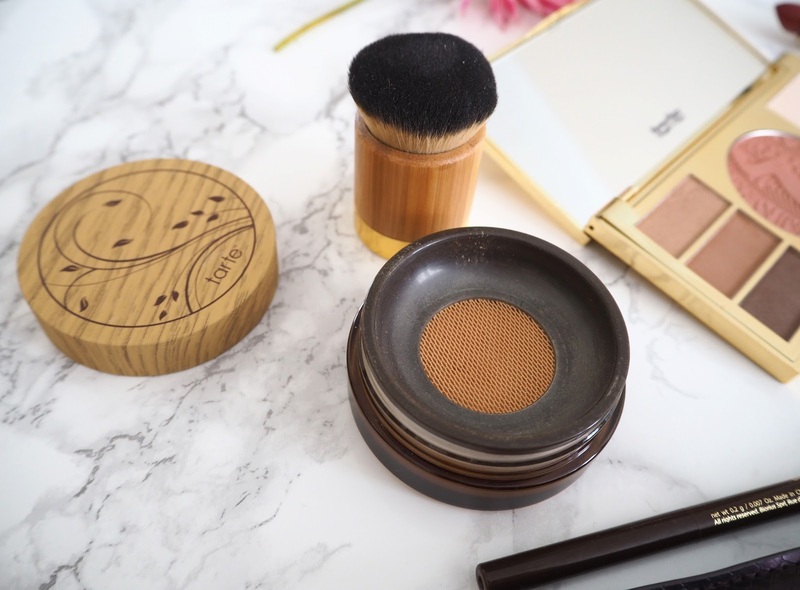 Overall I'm very impressed with Tarte Cosmetics and have been using these products a lot as well as their Maracuja Oil which you may have seen I included in my January Loves List! 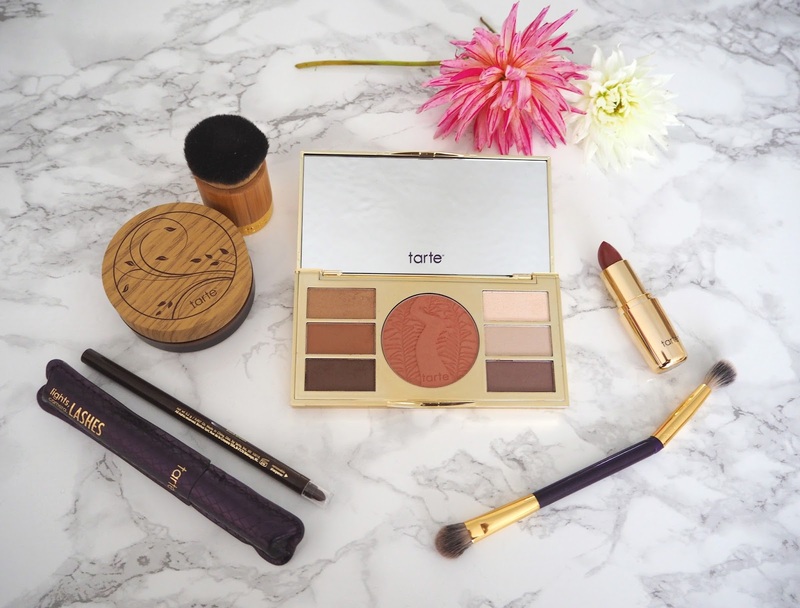 Have you tried anything from Tarte? What are your favourite products? 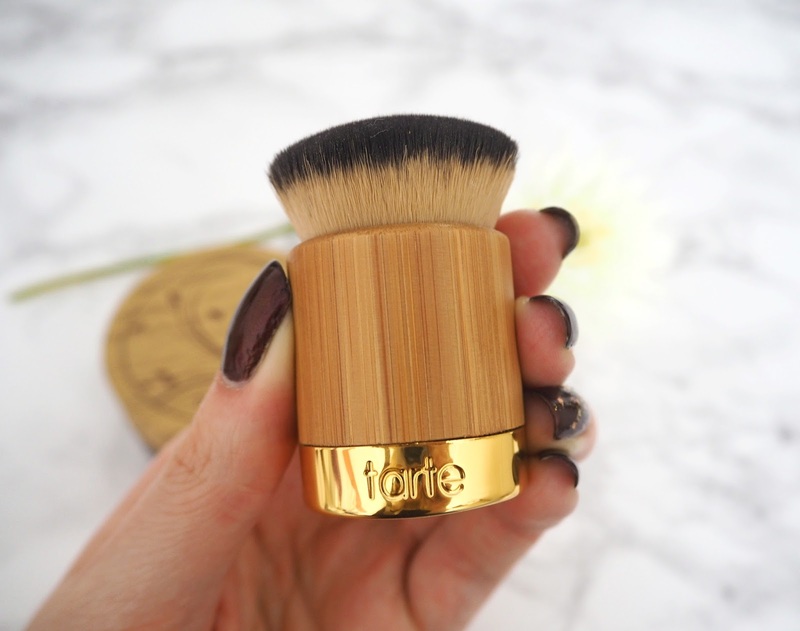 I really want to try Tarte, definitely keeping an eye out on QVC! GIRRRRL I love Mally too, her mascaras are amazing...have you tried the 'instant impact' mascara? I don't think I've ever seen an angled eye shadow brush! This all looks like amazing stuff! 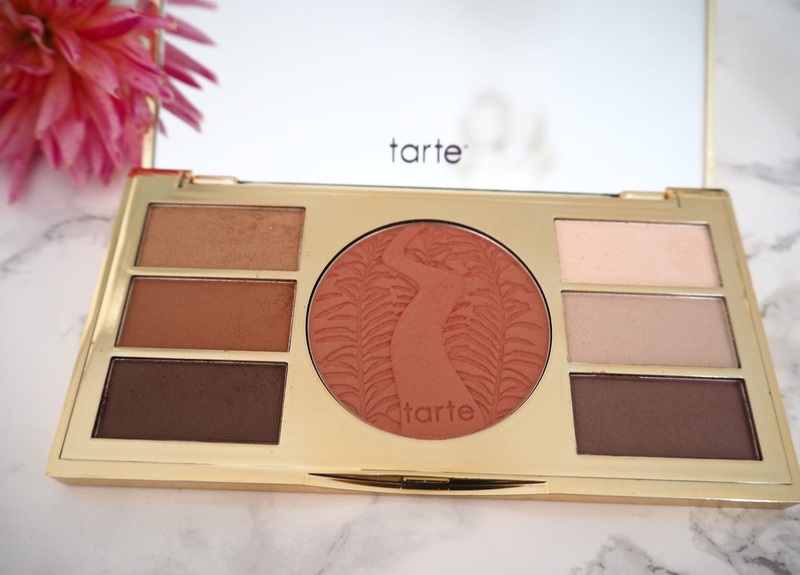 I definitely need to get my hands on some Tarte goodies!! 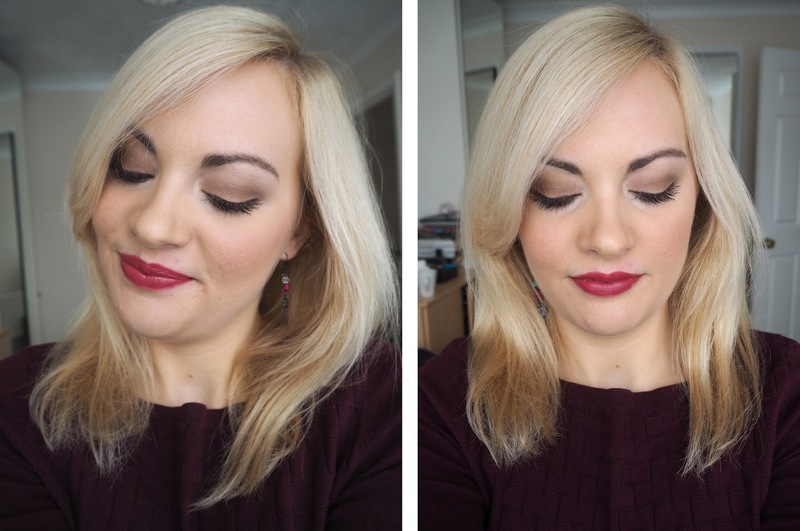 Found your link on the #fblchat gorgeous, I absolutely love your blog. 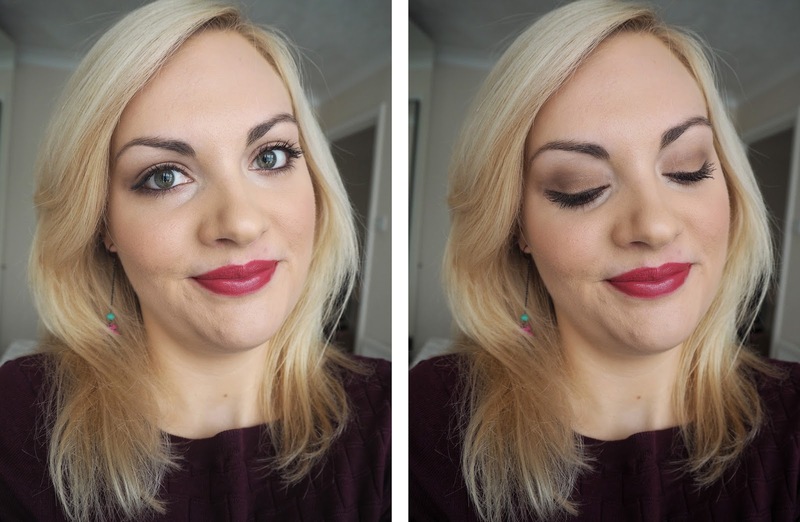 Now following on Bloglovin' and look forward to your future posts!